YOU WANT A WAKEBOARD TOWER...BUT DON'T KNOW WHO TO CALL! What we do is sale and install wakeboard towers, tower boat audio systems, and waketower accessories. We have been installing towers for over 14 years now. We have installed boat towers on a variety of vessels ranging from 15 feet in lenth to 32 feet. Over the years we have installed several different brands of wakeboard towers including: Monster Tower, 13th Floor, XTP, Aerial, Samson, Origin, and Big Air Wakeboard towers. The wake towers we handle have the most versatilility of any other wakeboard towers on the marine market. Each waketower is constructed of T6 Aluminum or Stainless Steel material. Each wakeboard boat tower is custom made to your boat. The wakeboard tower can normally be installed at any location you desire on your boat. 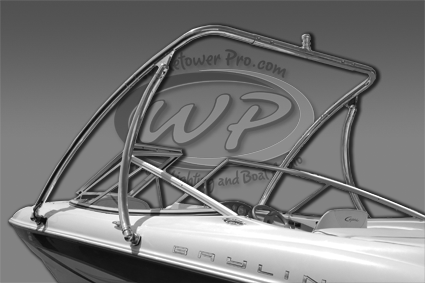 The most popular location for a boat tower is directly over the windshield frame or directly behind the windshield for most reverse-arch wakeboard towers. We have several accessories to accompany the wakeboard towers we install. 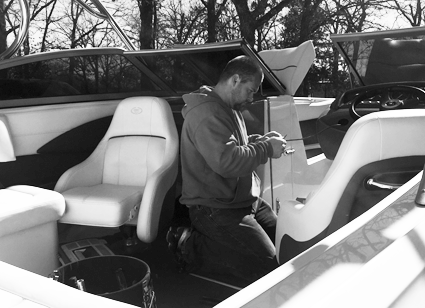 We can install wake tower speakers, custom stereo installation, wakeboard racks, wake tower mirrors, custom bimini tops that attach to the wakeboard tower, LED light bars, Interior LED Accent Lights, various marine electronics, and more. Waketowers are not easy to install. Unless you know what you are doing you can damage your boat VERY EASILY. 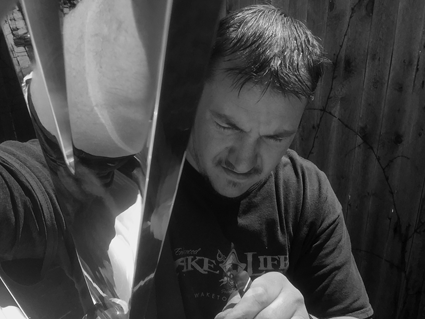 Installing wakeboard towers requires drilling holes in the side of your boat. You drill the wrong place or do not use the correct drilling methods and equipment you could end up with unwanted holes and cracked gel coat. Gel coat repairs are very costly. Don't take the risk of damaging your boat just to save a few bucks. We take wakeboard tower installation serious, and so should you. † The wakeboard towers we install start at $1,200 installed. We will travel up to 200 miles for free to install a waketower on your boat wherever it is located. Any distance past 200 miles is a dollar a miles starting at mile 201. A 50% down payment of your total invoice is required before you can be scheduled for installation. Mileage surcharge a bit out of your budget? Your not alone! We are centrally located in the US, but we are not always conveniently around the corner for everyone. We travel thousands and thousands of miles a year across this great country, and we constantly have others saying, "If your ever in this area, call me!" If you are one of those people, click over to our Customer Installation Waiting List page. This will show you a list of others just like you who wish to have an install done. Maybe there is one close to you, and we can combine the trip to include both installs. If none are listed close, ADD YOURSELF to the waiting list, so others can possibly partner with you for an install. We will handle the logistics, just get your information submitted. Once you are scheduled, waketowers normally takes 3-4 days to be received. It takes us approximately 1/2 day to install a boat tower. Your wakeboard tower can be scheduled and installed in as little as ten business days. Fly-In* Option ...everything above plus! Visit our Package Builder to determine which service falls within your budget. You can alternate between services near the total to get a close estimate on your installation. *Fly-In: Price is a rough estimate. Exact Fly-In service will vary depending on closest major airport, distance boat is from airport and current airfare rates. We offer mobile installation to anywhere in the United States! If you are within 200 miles of Moore, OK 73160 there is no additional mileage fees. Instead of dragging your boat to us, let us come to you. There are a couple requirements that need to be accomodated for us to come to you. We must have unrestricted access to the boat. The boat must have atleast 4 feet of clearance around the entire boat. The boat must be out in the open or in a building large enough and tall enough to accompany a tower fully extended. We also ask that you remove all watersports toys, life vests, tubes, boards, ski's, etc so that we have unrestricted paths to complete the installation. IMPORTANT: IF YOUR BOAT IS AT A MARINA, YOU MUST HAVE YOUR BOAT ON A LIFT. WE CAN NOT DO A TOWER INSTALLATION WITHOUT THE BOAT ON A SOLID PLATFORM. We can install your tower on your boat anywhere. Storage, home, shop, or marina. Any request for mobile service past the 200 mile radius will be an additional fee of $1.00/mile past 200 miles. For example, if you live 250 miles away from zipcode 73160, then you would incur an additional fee of $50. Mobile service is a scheduled service on a first-come, first server basis and may delay your tower installation depending on your location and time availability. If you prefer to bring it to us, we do have a shop that can accomodate up to a 25' ski boat. We also offer a Customer Assist Program, were you help with the installation and you can save yourself $150 off your install. Click here to learn more. Please call Chuck at 405.255.7668 to determine your mileage distance and setup an install. Waketower Pro was started in Fall of 2009 to fill a much needed niche in the marine world. With the ever growing popularity of wakeboarding, we felt this was the right time to start this venture. We did not know at the time the response would be so great. As we were unsure about the true needs of the industry, we took the gamble to venture out and put the service out there. We quickly realized the need for our services was greater than expected. Our first summer on the road in 2010 was a great year. We met some incredible people, worked on some great boats, and put smiles on owners. We travelled through 6 states that year. The next season was even better. We anticipated having a great year, but it was terrific. We travelled over 17 states installing towers and accessories. To date, we have traveled over 38 states providing wakeboard tower installation services. Our installation experience actually goes back to 2005 when there was only a handful of tower options at that time. We would install five to six towers a summer during our peak business of selling watercraft. We get asked often, "What do you do in the Fall/Winter Season?". Its true, the Fall/Winter season is very slow. My tech and myself fortunately have other trade skills in the fall/winter season that carries us through to the next season. We are both blessed to have the flexibility to do both. My tower tech concentrates on his contract commercial business, and I build web applications, databases, websites, and graphic design. Once Spring arrives, its back on the road installing boat towers. Our peak season goes from April 15th through September 15th, 6-months. We have been fortunate to build some great business relationships in the industry including: Big Air, Aerial, Monster, Origin, Exile, Kicker, Fosgate, Kenwood, and other vendors we interact with daily. We are a two-man crew. The crew is made up of my tower tech and myself. We have been referred to as the "Oklahoma Travelling Crew" from some of our competitors. Although there are places you can have a tower installed, our competitors will never be able to compete with our services and conveniences. We make the process easy, simple, affordable, and convenient. As we gear up for another season, we are looking forward to some exciting new wakeboard towers coming out. Be on the lookout for the new towers and accessories. These towers are gauranteed to be a hit this summer. We look forward to meeting you and bringing a whole new level of experience to your boating. Happy Boating! The customer assist program was introduced in 2014. This program was designed for those who are mechanically capable of putting things together, that wanted to save some money. This program gives you the same professional knowledge and experience of Waketower Pro, and some self-satisfaction that you helped to complete the job. Installing a waketower takes two people. No matter what tower you install, for a professional installation, you have to have two people. This program basically puts you in the technician seat. You are the assistant during the installation process. 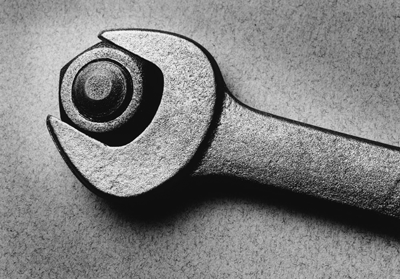 In order for this program to be successful, you will need to know how to use some basic tools, not be afraid of small confined area's, be physically capable of tightening bolts with hand tools, and just a basic working knowledge of typical hand tools. If your install includes electronics, you will also need a very basic knowledge of how to strip electrical wire, know the difference between hot and ground, use wire crimping tools for wire connections, and not be color blind. This program will save you $150 if you are willing to help with the install. This program has been done successfuly many times, and saves you money and gives you the satisfaction of being involved. This also gives you a first hand look at how everything is put together and what is done in the correct procedure to make your install a success. The Customer Assist program works perfect for the customers that are at a far enough distance away for us to fly into the closest major airport instead of paying truck mileage. Typically, we can secure air fare for less than what it would cost in mileage when traveling further than 1,000 miles for a job. These jobs will always require a customer assist if we fly in to your town. You don't have to know how to install a tower or know electrical engineering to assist. We will instruct you on what needs to be done and how. We are still assemblying the tower and installing it, you are just helping with the production of the install. If this interests you, please ask about it when you call or put it in the notes when you schedule your appointment.